Rating: 3.1. From 21 votes. 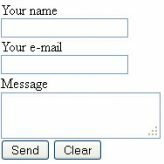 2) Now identify the inputs for the Name, E-mail and Message fields. To each of them you should add name=” ” attribute. 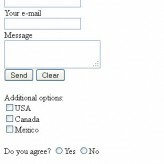 This entry was posted in Working with HTML and tagged contact, contact form, form, HTML. Bookmark the permalink. Well done. Very easy, and it works like a charm specially after watching the video. 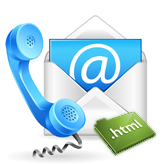 Now my question is if you have more than 1 form (registration to newsletter, contact for sending comments) on the same page, should there be one contact.php file for registration and one for comments or all forms processing can be combined and handled by one contact.php. This was really very helpful. Thank you very much!!! would be nice if you could zoom in on the lines that you were editing so people trying to follow along can actually see what lines are being edited. This was great, man. I’m moving from WordPress.org to HTML5, and something as simple as this code could not cross my mind. Thank you.